Classic Ironworks have a large number of Orangery designs for discerning clients across Bristol and the South West. Our orangeries will compliment your garden perfectly, our team of architectural design experts can project manage your conservatories and garden rooms project from start to finish. Orangery designs from Classic Ironworks can provide you with an extra room for your property that can be used as a dining room, kitchen, or even a summer play room for your children. Our prices are very competitive, and we aim to find cost-effective solutions for your bespoke orangeries project. 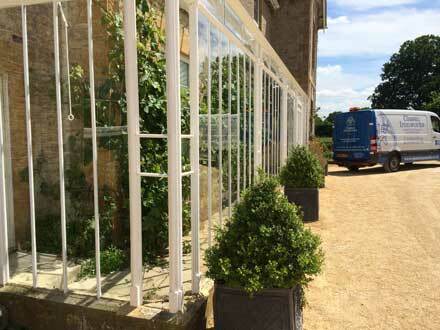 As both orangery suppliers and manufacturers, our team of experts can manage your project from initial design to a polished finish. We will help you decide on the material for your additional room, both modern and traditional being within our portfolio of high quality products available for expanding your property. Our traditional orangery installation will look stunning when manufactured for your period or traditional home. Choose from contemporary orangery designs such as stainless steel and glass designs for a more modern property or wrought iron for a more traditional property. Our orangeries are similar in design to conservatories, the main difference being that our orangery solutions can offer more privacy than a traditional glass conservatory. An orangery will add aesthetic appeal and value to your home, our experts visiting you at your home to discuss your project in depth and provide you with a range of options to choose from. Classic Ironworks can work within you budget to deliver the perfect solution for your home or offices. We can seek planning permission on your behalf for your orangery, the need for permission depending on whether your new construction will be in-keeping with the design and build of your home. Choose from wrought iron, steel, or traditional brick and glass designs. Adding an orangery to your home will add space and light, the additional space in your home allowing you to really enjoy your property to the maximum, with the added bonus of your additional room giving direct access to your garden or outdoor space.